Looking for Pompano Beach timeshare resales in sunny South Florida with plenty of conveniences and activities, minus the hustle and bustle of a busy tourist destination? Located just outside of Fort Lauderdale, Wyndham Palm Aire offers you all the comforts of a vacation home in a relaxed setting where you can kick back and enjoy the good life with access to the beach and as much or as little entertainment that suits you. 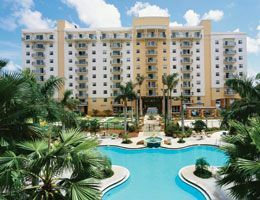 Thinking of Selling Your Wyndham Palm Aire Timeshare? If you already own and are thinking of selling your Wyndham timeshare, Timeshare Broker Associates is the place to be. Our licensed agents will take the hassle out of selling your ownership interest and, with no upfront fees, we will only get paid once the sale is closed. Let us find you a new owner, take care of the paperwork and find you a closing company to process the sale fast. Just a 15-minute drive from downtown Fort Lauderdale, Wyndham Palm Aire offers a tropical beach getaway for owners. Surrounded by palm trees and lush landscaping, this beautiful beach resort provides excellent accommodation and an abundance of recreational activities. 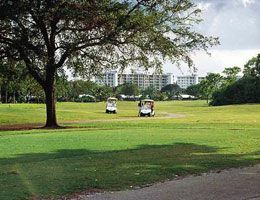 Not only will you enjoy free, daily shuttle service to the beach, but you will also be spoiled with on-site amenities that include four swimming pools, three golf courses, a full-service spa, beauty salon, tennis and basketball courts, two outdoor hot tubs, a fitness center, laundry facilities, cafe and bar. A children’s swimming pool with a water slide, a playground and miniature golf are available for families. 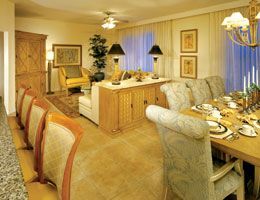 Wyndham Palm Aire is designed to suit all types of vacationers with various unit options that include studio suites with king-size beds and private balconies, one bedroom suites with a private bedroom and full kitchen, and two-bedroom suites that feature a master bedroom, guest bedroom and whirlpool tub. All units provide a washer and dryer, balcony, free Wi-Fi and cable TV with DVD players and entertainment systems as well as complete kitchens that include a microwave, stove, refrigerator and coffee maker. Owners of these Pompano Beach timeshare resales will enjoy access to an abundance of beach and water activities that include swimming, scuba diving, water skiing, parasailing, jet skiing and windsurfing. Across the street from the resort, within walking distance, you’ll find entertainment at Isle Casino Racing Pompano Park in addition to nearby art galleries, museums and theaters. Take a short drive into Fort Lauderdale for world-class dining and shopping. Contact Wyndham Palm Aire Specialist Today!